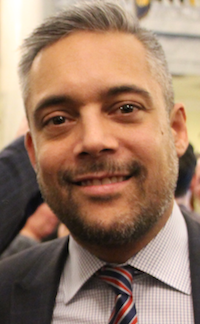 A first-time visitor to the Assembly this week could have confused Premier Rachel Notley‘s New Democrats with the Official Opposition as backbencher after backbencher asked government ministers to explain the damage that new UCP leader Jason Kenney would do to Alberta. The NDP even released a handful of attack ads on Facebook, targeting Kenney’s comments about outing students who join Gay-Straight Alliances. The NDP want to define Kenney and the UCP early in his mandate and are eager to respond to the vicious attacks targeted at them by the Wildrose Party, Kenney’s supporters, and now the UCP since the 2015 election. But this week’s opening shots were over-kill. We cannot expect political parties to avoid playing politics, especially as we approach the next provincial election. The NDP have every right to challenge Kenney on his controversial statements but the government should carry itself with a little more dignity than it did this week with it’s staged criticisms of the new UCP leader in the Assembly. Education Minister David Eggen tabled Bill 24: An Act to Support Gay-Straight Alliances, which provides legal protections for students wanting to form anti-bullying clubs in Alberta schools and prevents administrators from outing students to their parents. 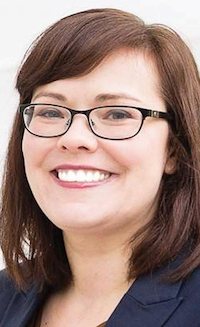 Justice Minister Kathleen Ganley tabled Bill 23: Alberta Human Rights Amendment Act, which adds “age” as a prohibited ground of discrimination in cases of tenancy, goods, services and accommodation. The bill puts an end to adults-only apartment buildings as of Jan. 1, 2018 and gives condo owners a 15-year grace period to implement the new rules. Seniors-only housing is exempt. United Conservative Party leader in the Legislature Jason Nixon started Question Period each day this week with a question to the Premier about oil pipelines and the relationship between Notley and Prime Minister Justin Trudeau. As I wrote earlier this week, the UCP clearly sees a political advantage in trying to tie the Notley government to the Trudeau Liberals in Ottawa. 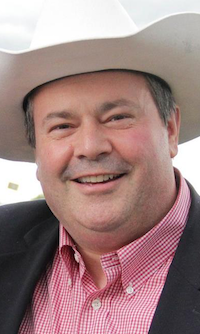 The National Post’s Stuart Thomson has written an exceedingly good article that focuses on Kenney’s political views and the influence of the Calgary School on his version of Conservative ideology. Following Kenney’s victory in last weekend’s UCP leadership race, more than 20 UCP Caucus staffers, mostly former Wildrose Caucus staff, lost their jobs at the Legislative Assembly. According to AlbertaPolitics.ca writer David Climenhaga, Kenney has hired a handful of his close advisors, many from his years in Ottawa, to run the UCP Caucus: Chief of Staff Nick Koolsbergen, Deputy Chief of Staff Matt Wolf, Calgary Office Manager Blaise Boehmer, Communications Director Annie Dormuth, Director of Operations Jamie Mozeson, Daniel Williams, Peter Bissonnette and Andrew Griffin. Constant criticism from Liberal Party leader David Khan and David Swann, his party’s lone MLA, appears to be generating results in their crusade against Political Action Committees. Khan made PACs a big issue following his win in the party’s leadership race earlier this year. Notley has said new laws governing PACs will be introduced soon, most likely in the Spring of 2018. 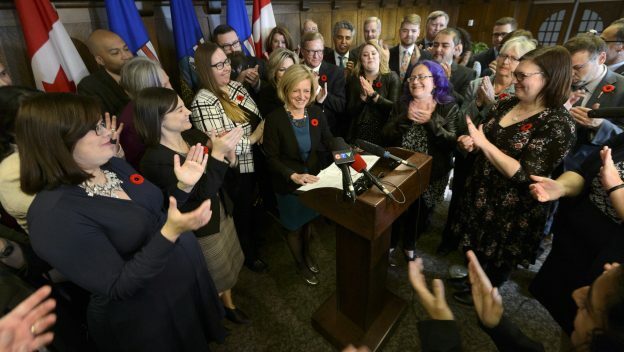 Now with two MLAs in the Alberta Party Caucus, the third largest caucus in the Assembly wants to be granted official party status, which would give Greg Clark and Karen McPherson increased resources and a more prominent role in daily Question Period. Section 42 of the Legislative Assembly Act states that “recognized party status” shall be granted to a caucus with at least 4 MLAs and a party that received at least 5 percent of the vote in the most recent election. Clark has pointed out that the NDP were granted official party status when only two of the party’s MLAs were elected in 1997, 2001 and 2008. But in each of those elections, the NDP met the second criteria of earning more than 5 percent of the vote. The Alberta Party currently meets neither of these criteria, having only earned 2.8 percent of the province-wide vote in 2015. New Democrats who might oppose granting the Alberta Party official status should be reminded of their own party’s situation 35 years ago, when first-term Edmonton-Norwood MLA Ray Martin introduced a private members bill that would have lowered the threshold of recognized party status to one MLA. At the time, huge Progressive Conservative majorities were the norm, and in the 1982 election the only elected opposition consisted of two New Democrats and two Independent MLAs (both former Social Credit MLAs who would later form the Representative Party of Alberta). The four-MLA threshold is arbitrary and the vote results from the previous election should be irrelevant in recognizing the creation of new caucuses. 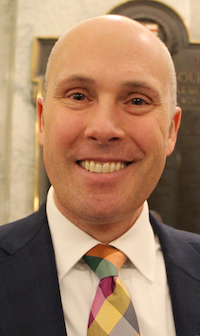 The Alberta Party should be granted recognized party status, provided with additional resources and given a more prominent role in Question Period now that their caucus has doubled. This entry was posted in Alberta Politics and tagged Alberta Liberal Party, Alberta NDP, Alberta Party, Andrew Griffin, Annie Dormuth, Bill 23: Alberta Human Rights Amendment Act, Bill 24: An Act to Support Gay-Straight Alliances, Blaise Boehmer, Daniel Williams, David Climenhaga, David Eggen, Greg Clark, Jamie Mozeson, Jason Kenney, Jason Nixon, Jim Prentice, Karen McPherson, Kathleen Ganley, Matt Wolf, Nick Koolsbergen, Peter Bissonnette, Rachel Notley, Ray Martin, Stuart Thomson, United Conservative Party, which provides legal protections on November 3, 2017 by Dave Cournoyer. The Alberta Party should not be given official party status. They barely ran any candidates last election and only elected one member. “…new laws governing PACs will be introduced soon…” Although there are those clamouring for such legislation to be introduce almost immediately, in my view this would be a mistake. Any such legislation would have to be very carefully drafted, in order to withstand a potential Charter challenge. The United States saw its political campaign laws gutted by Citizens United, and we don’t want to see the same thing happen here. Of course, our Charter of Rights, unlike the US Bill of Rights, includes a “reasonable limits” clause; nevertheless, any such legislation would need to be worded carefully to ensure it meets that test and is not overly broad or overreaching. That kind of careful drafting of a bill takes time. Kenney seems to be a bit more of a polarizing figure than many other Conservative politicians. I think his hostility to other parties and their ideas is reciprocated, so I am not at all surprised by the strong reaction to him by the NDP government. I think the mistake some make is to underestimate or dismiss their political opponents, or go easy on them for a while in the hopes they will somehow trip up on their own. Usually this does not work and it especially will not work with a clever and experienced politician like Kenney, so unseemly or not the gloves are off from day one. Perhaps Kenney might have been accorded a bit more respect if he was an MLA and there are rules around how to treat fellow MLA’s. As he is not yet ever been elected as an Alberta MLA, these do not apply at this point. Personally, I think it would be healthy for democracy to give party status to the Alberta Party as it is now the third party, even though it might not might meet all of the historical criteria for this. Perhaps the government is reluctant to do so in part due to the source of its second MLA. If Mr Clark could find a third MLA (there are several independents right now and perhaps a few wavering UCP MLAs) that might help his case a lot.